Origin of the Swine Flu? 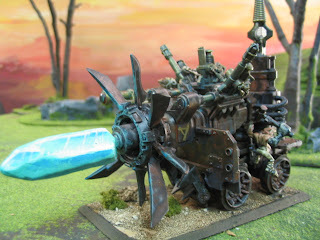 So, that Warp Lightning Cannon finally got painted up. See more pics here. This is for sale at $225. Contact me at bluetablepainting@gmail.com for details. The warplock engineer is included. My day started bright and early at 4am. I started in on the various correspondence. I can’t seem to get the Inbox completely emptied, so apologies to the few people still waiting on a response from me, just hold tight, I’ll get to you. I know that sounds bad, but I maintain that the customer service at BTP is still pretty high. Note about Thursday: I’ll be out of the studio most of the day, just in during the morning hours. Also, I got my Magic cards back. It was a joyous moment. About six weeks ago I gave them to my wife to hide from me since my productivity was declining, setting a certain goal for their release. But I don’t think I’m going to keep them for long. I’ve decided to focus on miniatures battles. Like many gamers I can really only concentrate on one hobby at a time. Anyway, on to the events of Wednesday. I got into the studio around 9am and started getting things warmed up and organized. We got in an unusual number of packages including some trade-in materials (among which: a Baneblade and a half-dozen Ork Bikers). There was also an unusually high number of packages to be packed up. A few were delayed until Friday. We went out to lunch at Subway. There are plans to do a skit on Friday. We’ll see if that materializes. I’m also going to play a game of 40K against Renn on Friday. Against his Bone Knights Space Marines Chapter. 1500 pts I’m pretty sure. Then on Saturday it’s more Space Marine action as I tackle the Ultramarines at 1700 pts. I’m pretty stoked about both games. We’ll see how the Oceanic Eldar fare. I left work a little early at 5:30pm and headed to a recital for the kids at school. Tamie has been faithful at keeping them in music lessons and it’s paying off. We have a rule to not overprogram our kids. We both grew up very unstructured and like to be sure the kids don’t have a lot of rig-marole forced on them. But they have picked music as an interest and we support that. Jonah had his cast taken off today. It was pretty foul. (I made time for that, too). His ankle is still not healed up, though (fracture) so they gave him this boot-splint thing. We are monitoring closely. On a personal note: I’m making a concerted effort to help more around the house. When I come home I dedicate some time to being useful, unbidden, just pitching in for this or that. Then later I get the kids ready for bed early, scriptures/prayers, and off they go to their rooms. However, since it is a half hour or so before they actually have to go to sleep I play it pretty fast and loose with them still being awake. It gives them time to unwind. At some point thereabouts I tell my wife (yes “tell”) to go upstairs and forget about home-making duties and get some time to herself for about an hour. This allows her to transition out of her duty-filled day. After that we watch a movie on her laptop in bed, or just sit and talk, or read together, or play a rousing game of checkers. It takes some preparation, but setting aside that time to unwind and harmonize is really worth it. We’ll see how long that lasts. Even though I initiated the idea, it was a mighty horse-pill, mentally, to swallow. The other night, a show called “Neat” comes on the DIY network (or whatever). It’s a show about how to organize rooms. My daughter perks up and turns up the volume. She says, Dad this show will help me keep my room even cleaner! I couldn’t be more proud. You see, my daughter is sort of the neat-nick of the family which is great because the rest of us are pretty cluttered. It’s good to see my kids improving on what they started with. Which reminds me, I was musing with Sarah about how my car can be so messy but the studio so organized. In the bright and clear hours of the morning I awoke to the vision of my next army. I’ve not said anything (since it reflects poorly on a miniatures studio owner), but I’ve been in a bit of an army creation wasteland. Normally I have two or three burning desires for armies. Lots of different ideas cooking. The other aspect to this is that I don’t play as much as I’d like. I have a new goal to get in one or two games every week. Play more with the armies I have rather than just always building new ones. As usual, it’s hard to describe what I see in my head, and I guess you’ll need to be surprised. Tripods of flesh and metal with a glowing, flaming orb floating over the center. Beautiful women as one-winged seraphs, cyclopean pillars of fire with grasping masses of tendrils. And so forth. I’m watching “That 70s Show” season 4. I meant to get the IG specials up today, but didn’t get around to it. Tomorrow it shall be! In the studio update vid I show a Heru army. That’s $950. It’s 2000 pts. Good stuff. I think I have more pics of it. It’s at least 2000 pts. That’s a good price. And good until I chaaaange my mind. If you’re interested in anything, just email me. Release date is 2 May 2009. The new codex will be 104 pages long. Pre-orders have already gone up on GW and other sites. GW stores are now getting preview copies of the Codex. Rumoured to include at least 2 waves of releases. It is unclear when the second wave will appear. Orders can be issued to any disembarked non-vehicle squad. Company Commander can issue up to two Orders within 12″. Platoon Commander can issue one Order within 6″. Orders may not be issued whilst embarked unless vehicle has “Mobile Command Vehicle”. “Incoming!” – Go To Ground with +1 cover save, i.e. +2 total and the unit can’t shoot for that turn. “Move, move, move!” – Roll 3D6 and take highest when Running. “Bring it down” – Twin Links all weapons shooting at tanks, MCs including units or squadrons of them. “Get back in the fight!” – Allows a squad to instantly rally or get up from “Down!” This allows them to shoot & assault in that round as well. Only Company and Platoon Command Squads and Veterans have access to heavy flamers. Creed (90pts) replaces Company Commander. TL Hotshot Laspistol. 24″ command radius for Orders. Can issue 4 per turn, including unique Order “For the Honour of Cadia!” giving 1 unit Fearless and Furious Charge. He gives 1 unit or vehicle (not squadron) Scout. Jarran Kell (70pts) Replaces Vet in Company Command Squad. Laspistol & Power Fist. Must have Creed to take him. “Listen Up Maggots!” Use the issuing Officers Ld for Order tests. If 2 Company Command Squads taken, may be deployed separately from Creed, but gets “look out sir Argh!” rule if in same squad. Captain Chenkov (70pts). Replaces Platoon Commander. 12” Order range. Can upgrade his Platoon’s Conscript squad (75pts) allowing Special Order “Send in the next wave!” removing squad immediately and letting it enter from table edge at full strength next Turn. “Onwards you dogs!” Units in 12″ get Stubborn. Commissar Yarrick (185pts). HQ Independent Character. Bale Eye is Hotshot Laspistol. Iron Will grants Eternal Warrior and 3+ ‘get up’ save for last wound. Force Field makes enemy re-roll successful wounds. Units in 12″ are Stubborn. He and squad re-roll to hit on charge. May take Chimera. Catachan Devil Gunnery Sergeant “Stonetooth” Harker. Veterans Upgrade. Armed with “Payback” Heavy Bolter. FNP, Relentless, Catachan Devils (him and squad Infiltrate, Stealth and Move Through Cover). His may not take Granadiers. Lukas Bastonne (Cadian Noble). (?) Pistol &CCW. Veterans Upgrade. Allows squad to always try to rally regardless of casualties etc. After all orders issued he may issue his own order like a Platoon Commander. Iron Hand Straken (90pts). Replaces Company Commander. Shotgun, Plasma Pistol & Refractor field. Bionics allow him to strike like a MC in CC. FNP. He and Squad are Fearless. He and Units within 12” get Furious Charge and Counter Attack. Guardsman ‘Sly’ Marbo. Elites Independent Character. Demo Charge, Sniper Pistol, Poison (2+) CCW. Hit & Run. ALWAYS in reserve and when deployed, may be put within 1″ of ANY model. Can then shoot and run away. Mogul Kamir (40pts) Replaces Rough Riders Sgt. Mechanical horse (D3+1A on charge) and gives them Rage. Captain Al’rahem (70pts). Replaces Platoon Commander. 12” Order range. Unique order allows a unit to consolidate D6” after shooting (possibly just Lasguns). All units in Platoon (including Chimeras) MUST Outflank. Claw of the Desert Tiger = Instant Death PW. Nork Dedog (110pts). FNP. “Look out sir Argh!” rule. If he dies in assault, inflicts D6 S6 hits on enemy. If Nork Taken, Command Squad cannot have Bodyguards. “Loyal to the end” – Nork never target for summary execution. If his Commander is executed then Nork retaliates. Remove the Commissar. Knight Commander Pask of Cadia (50pts). Leman Russ Squadron upgrade. BS 4 to one weapon (possibly more if Tank stationary). +1 AP vs vehicles & reroll to wound vs MCs. Cannot disembark if the Tank is destroyed. ‘Nightshroud’ – Enemy has to pass Ld test to shoot at his unit. Refractor Field. Options for Carapace Armour, Plasma Pistol, Power Fist. “Aura of Discipline” – Any unit in 6″ may use his Ld for Morale, Pinning and Ld tests for Orders. Has Summary Execution. Not executed by Commissars. 1 Company Commander. Laspistol, CCW, Frag, and Refractor Field (5+ inv). Upgrade to Bolt Pistol, Boltgun, Plasma Pistol, PWeapon, PFist. May take Melta Bombs. No longer IC. 4 Vets. Lasguns and Frags. Upgrade 1 to Medic, 1 may take Regimental Standard, 1 may take Vox. 1 may take Heavy Flamer. Replace 2 with Vet HW Team with Mortar, Heavy Bolter, Autocannon, Missile Launcher, or Lascannon. 4 without an upgrade can take Flamer, Grenade Launcher, Sniper Rifle, Meltagun, or Plasmagun. May all take Kraks, Carapace, Camo Cloaks (applies to Officer and advisors too). Can’t have Commissar. May take Chimera. Confer +1 to reserve rolls while still alive. Outflanking units may re-roll which board edge they enter from. Can call in a S9 AP3 Ordnance shot with unlimited range if he doesn’t move that turn. Shot scatters 2d6 on a “hit” & 3d6 on a arrow, deduct BS if within LoS. Can allocate an unsaved wound from Officer to them. Squad upgrades. Bestow Stubborn on attached unit. Summary Execution. Weapon options are the same as the Officer or Sgt in the attached squad. 0-5, don’t take up FOC. Rosarius, Las Pistol & CCW. Swap Las Pistol for Shotgun. Take Eviscerator. Re-rolls to hit for attached unit, except Ogryns & Ratlings. 1 Overseer, and 4 Psykers 60pts. + up to 5 more Psykers. Laspistol & CCW. 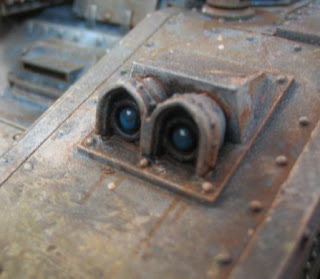 “Soulstorm” – 1 model fires a Range 36, S=number of psykers in the unit, AP d6, Heavy 5″ blast. “Weaken Resolve” – Drops Ld of enemy in 24″=number of psykers in squad. The Overseer or Mentor will shoot D3 of them on any Perils of the Warp result. 5-10 men, 16 pts each. Hotshot Lasgun, Hotshot Laspistol, CCW, Frag and Krak. Deep Strike. Can take 2 special weapons. Sgt can take Power Weapon, Plasma Pistol, Melta Bombs. Can take Chimera. No FOC Slot. Can have up to 5 servitors. Two can have Heavy Bolter, Multi Melta or Plasma Cannon. Servitors are “mindlocked” if Techpriest dies. Fixes on 5+ with +1 for each tech servitor. No option for Chimera. Bone’ead +2 Ogryns 130pts. Up to 4 more for +40pts each. Stubborn, Furious Charge, Bulky (2 transport spaces). May take Chimera. 3-10 per squad. 10 points each. Stealth & Infiltrate. 4 Guardsmen. Lasguns and Frags. Upgrade 1 to Medic, 1 may take Platoon Standard, 1 may take Vox. 1 may take Heavy Flamer. Replace 2 with HW Team with Mortar, Heavy Bolter, Autocannon, Missile Launcher, or Lascannon. Up to 4 without an upgrade can take Flamer, Grenade Launcher, Sniper Rifle, Meltagun, or Plasmagun. May all take Kraks. May take Commissar & Chimera. Platoon Standard: +1 Combat Res in assaults. 9 Guardsmen and a Vet Sergeant with Lasgun and Frag Grenades. Sgt has Lasgun or Las Pistol & CCW or Shotgun. Options: Sgt may take Bolt Pistol, Plasma Pistol, Melta Bombs. Remove 2 and replace with HW Team with Mortar, Heavy Bolter, Autocannon, Missile Launcher, or Lascannon. 1 may take Grenade Launcher, Flamer, Meltagun, or Plasma Gun. 1 may take Vox. Entire Squad may take Kraks. May take Commissar & Chimera. Any number of Infantry Squads (and ONLY Infantry Squads) in a Platoon may choose to merge into any number of larger squads. 3 HW Teams with Mortars. Upgrade to Heavy Bolter, Autocannon, Missile Launcher, or Lascannon. May take Kraks. No Chimera. No Vox. 6 Guardsmen. Can take 3 Flamer, Melta Gun, Plasma Gun, and Sniper Rifle. Any may take Demo Charge in addition to Lasgun. No Vox. No Chimera. 20 Conscripts with Lasgun & CCW. May add up to 30 more. No Options. Replace Lasgun with Shotgun. 3 may take Grenade Launcher, Flamer, Meltagun, Plasma Gun, or Sniper Rifle (1 may be Heavy Flamer). Remove 2 and replace with a Vet HW Team with Mortar, Heavy Bolter, Autocannon, Missile Launcher, or Lascannon. Sgt may take Plasma Pistol, PW or PF. May take Chimera. 1 Penal Guard and 9 Penal Legionnaires. Lasgun & CCW. Stubborn & Scouts. 5-6: Knife Fighters – +1CCW & Rending. Tank, Amphibious, Mobile Command Vehicle. Multi-laser, hull Heavy Bolter, searchlight and smoke launchers. 5 people can shoot out. Options: Upgrade Multi-laser to Heavy Flamer or Heavy Bolter (NO Autocannon); hull Heavy Bolter to Heavy Flamer; Add Storm Bolter or Heavy Stubber, Hunter-Killer Missile, Dozer Blade, Extra Armour, Camo Netting. 1 Sgt and 4 Rough Riders, + up to 5 more. Hunting Lance, Laspistol & CCW, Frag & Krak. Lance strikes as S5 I5 Power Weapon on first charge, but no 2 CCW. Can have 2 of the following as well as Lance: Flamer, Grenade Launcher, Meltagun, Plasmagun. Sgt may take Melta Bombs. 1-3 Recon Sentinels. Open Topped, Scout, Move Through Cover. Multilaser. Replace Multilaser with Autocannon, Heavy Flamer, Missile Launcher, Lascannon. Add Searchlight, HK Missile. Entire squadron can buy Smoke Launchers and/or Camo Netting. 1-3 Spearhead Sentinels. Lose Scout, but will be enclosed and have more options for heavy weapons such as the Plasma Cannon and possibly Multi-Melta. Any tank may replace Heavy Bolter with: Flamer or Multi-Melta. Add Extra Armour, Searchlight, Heavy Stubber, HK Missile, Dozer Blade. The entire squadron can buy Smoke Launchers or Camo-Netting. May exchange Multilaser for Lascannon, Hellstrike Missile for 2 Multiple Rockets Pods. May add door (sponson) Heavy Bolters. Multiple Rocket Launcher 24 4 6 Heavy 1, Large Blast. May exchange 2 TL Lascannons for 2 Hellfury Missiles. May add door (sponson) Heavy Bolters. “Grav Chute Insertion” – Embarked Troops may DS at any point in vehicle’s movement, re-rolling scatter, but if they roll an arrow they take a Dangerous Terrain check. Eradicator Nova Cannon 36 6 4 Heavy 1, Large blast Ignores cover saves. Executioner Plasma Cannon 36 7 2 Heavy 3, small blast. All variants have Smoke Launchers and Searchlight. May exchange hull Heavy Bolter for Lascannon. May take sponsons with Heavy Bolters, Multi-Meltas, or Plasma Cannons. Add Heavy Stubber or Storm Bolter, Dozer Blade, HK missile, Extra Armour. Entire squadron can take Camo Netting. Lumbering Behemoth – a Leman Russ that remained stationary or moved up to 6″ can fire its turret weapon in addition to any other weapons it may fire [depending on movement] – even if the turret weapon is ordnance. 1-3 artillery tanks in a squadron in any combination. Open Topped. Can take siege bombs. Medusa Cannon 36 10 2 Ordnance, Large Blast. Medusa Bunker Buster 48 10 1 Heavy 1, Blast. All tanks have Smoke Launchers and Searchlight. May exchange hull Heavy Bolter for Lascannon. Add Heavy Stubber or Storm Bolter, Dozer Blade, HK missile, Extra Armour. Entire squadron can be enclosed and take Camo Netting. - Cannot be fired on Turn 1. Each turn roll a D6, weapon can be fired on a 6. Modifiers: +1 per turn, -1 for each crew stunned or weapon destroyed results sustained. Can always be fired on the roll of a natural 6. - Any weapon destroyed results received are ignored, the only effect they have is to delay the launch. - Hits on vehicles in the area of the Deathstrike Missile are not calculated at half strength but at S10. We like to get to Oregon every year. Last year we couldn’t make it due to financial constraints. This year we just “made it happen”. 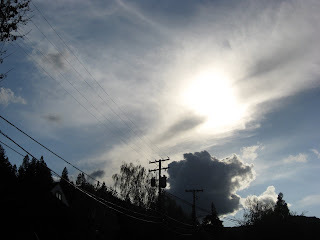 I grew up in Ashland, Oregon; elementary, middle, and high school as well as getting a bachelor’s degree in Spanish from Southern Oregon University. 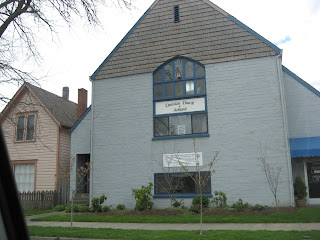 My wife and I lived for our first two magical years as a young married couple up on Holly Street, in the hills above the public library. Ashland was a logging town when I was growing up. My parents managed the Marc Antony hotel (a famous landmark). We lived on the fourth floor. My mom caught me once spooning oatmeal out the window trying to hit passers by. As a 40th birthday present I got the use of an RV for a week. So, we packed up and headed out. The first night was a misery, navigating the treacherous pass into the valley in this giant boat, snow flurries swirling round in the darkness. We tried to stay at an RV park, a depressing place, uninhabited like the opening scene of a horror movie, with shapes and scrawny animals moving like ghosts on the edge of vision. I couldn’t get to sleep so we were just there for a few hours before I just bit the bullet and hit the road. I got 30 minutes of sleep. Awaiting us was a house all to ourselves. About a year back Tamie’s grandmother passed away and Tamie’s mother now maintains her house (built just about two years back) as a guest home. 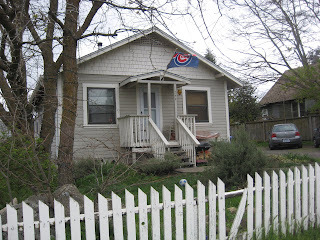 So, we had full reign of the place, clean and new, but populated with beloved memorabilia of Gramma Ernie. It was a perfect base of operations. 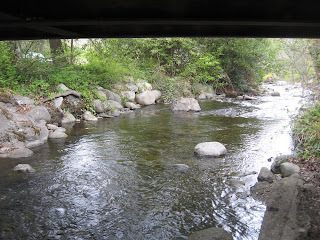 We spent two full days just camped out in the RV in Ashland’s Lithia Park. 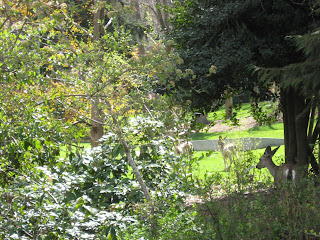 The park is actually more like a wildlife preserve, about two miles into a small mountain-shrouded valley. Hot buttermilk pancakes and a cool spring morning, gently tapping away on my computer with the RV door open to the stream. In the early dawn hours there are just hikers and bikers going to and fro. I went out to eat with various relatives, including a family dinner at my (last remaining) grandparent’s house. Gramma’s place still has those curving yellow vinyl chairs I grew up with and smells of California beach: sand and eucalyptus and pets. Notably, my aunt Paula is living in the valley again. She’s sixteen years my senior and was always a beloved figure; quick with a smile and a kind word. 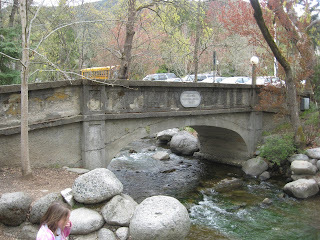 I could have spent a whole week in Ashland, exploring the nooks and crannies of it again. I spent a half day just going and shooting footage of nostalgic locations. But now that chapter is closed. Yes, I know I said that last time. But really this time. I realized that my current life is much more exciting. I’ve lived a good life. Very full. We also spent a day in Brookings on the Oregon coast. Upon arriving at the beach, my youngest son (now four) dropped his pail and bucket and ran out across the black-grey sand to one of the numerous rock outcroppings and began to climb. He didn’t look down. Griffin is like a pygmy frat boy, living life to the hilt without looking back, heedless of danger or consequences. I got up to him and helped him to a safer place. I don’t like to overly inhibit his explorative nature. It was a magical moment to play in the scattering surf, and explore streams and piles of mammoth driftwood with the kids. Best part of that trip was picking up a mountain of fresh seafood at a local food shack; cod, shrimp, salmon, clam chowder you name it. Steaming mounds of it. The journey back was at night, and treacherous. We will plan that timing out better next time. Other than the actual driving, the pilgrimage was a great success. Good times were had by all. And for those that might care, here are a few snippets. 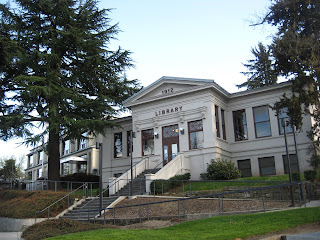 Ashland’s public library. My parents took me here every week. Even at a young age I was a voracious reader. 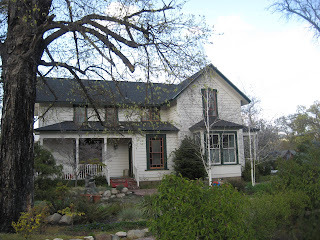 Grandma Gately’s old house, a historic pioneer home, now renovated and owned by someone else. I have this repressed fantasy that I’ll be able to buy it back someday. There’s a giant tree out front that used to have a massive bee hive. Sunset on the way back. Spring is my new favorite season (used to be Autumn). My daughter suspended in time. 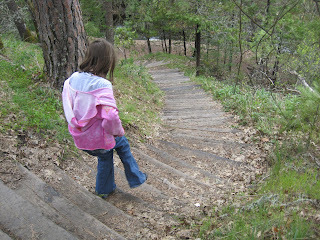 In Lithia Park there are steps leading up into the forested hillside to the foundation of an old house. Local folklore says that it was a witch’s home that burned to the ground in some dark ceremony. Surely a bunch of rubbish, but there you have it. My girlfriend and I (when I was a junior in high school) used to go there and hang out. 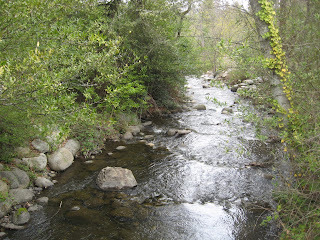 Lithia Creek. I have waded, jumped, and hiked it. When my wife and I were first married, there was a huge flood which changed the topography of the stream and park, wiping out childhood haunts forever. 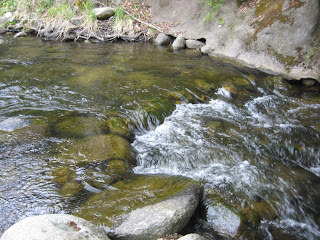 Most notably two wading pools, and three waterfalls. There is a mineral spring here. The water is carbonated and full of odd elements. Supposedly good for you. 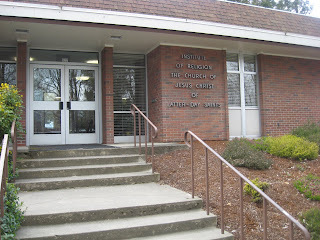 The LDS “institute of religion” across from the high school. This is a beloved place for me, a refuge in the storm during difficult years. I graduated from Seminary here. A two bedroom house my father and his friend built when I was twelve. It was heated by a pot-belly stove, and in the summer cooled by mountain breezes coming through all the open windows. 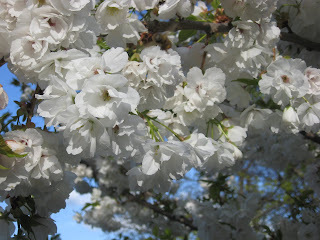 There were three cherry trees in the back yard, each a different species. At this age I started playing D&D. We lived here nearly until graduation of high school. 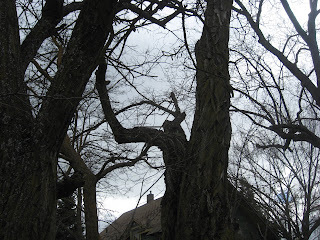 A Black Walnut tree, a wizened old protector from the days of the Old Forest. I resorted here on many summer days to read and watch passers by. 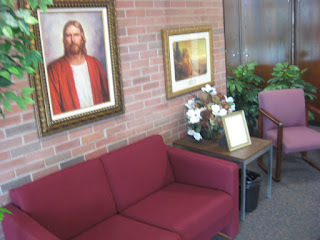 Interior of the LDS institute. 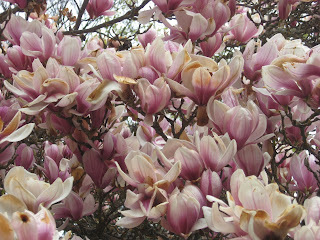 Blossoms in front of the public library. 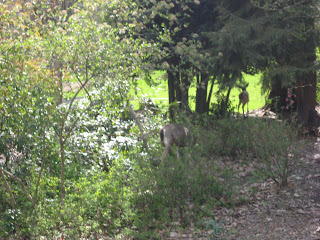 Picture: this is a shot from my beloved Litha Park in Ashland Oregon. Do you see the deer in there? I’d like to just barf out some random thoughts and musings. When I look up at the night sky I see innumerable worlds inhabited by celestialized humans, trillions upon trillions of them. Paradaisical planets. I am extremely optimistic about the future. Our world is only dark temporarily, and even that is part of a wondrous process. I’ve been on a political journey, which some have been following the last eighteen months. In the last few months, this has become about economics, and not so much about politics. The two are intertwined of course. I think that the solution lay in economic policy, and that as a people (perhaps worldwide) there are certain things that are accepted which are not right (eg fractional reserve banking). These things take away the freedom of man. I feel inclined to give a positive word tonight. Perhaps someone is thinking about throwing life away. It is natural to lose hope on occasion. I say to you directly and clearly: things will get better. Great things are in store for you. Keep your chin up and see through the dark night. I assure you that even adversity is part of God’s great Plan. As the offspring of the Almighty (your spirit’s genetic code is the same as God Himself) you have a divine connection with Him, and a right to have communication. But be patient. The cosmos is immensely complex and beautiful. The human soul has to be brought forward incrementally by stages. It is not wise to give too much to a soul that is not ready. Step by step. I don’t think I know very much. I need to prepare myself for the next phase. I am eating more healthy. We are part of a co op with local farmers and producers, and we picked up a whole ton of great natural local food today. I am making some incremental changes to my diet. Nothing drastic. I don’t want the vow that binds too tightly to break itself. So, I’m getting rid of soda first, and cutting consumption of “treats” in half. Also, when I’m feeling peckish I have some water first. Sarah has been a good influence on me in this regard. Tamie and I went to a Home Show tonight. We are broke, of course, but it was fun to get ideas and make some plans. And it was great to get away again together. Sarah and I got started bright and early on Friday morning, getting things tidied up and going over each project to see if they needed some updating. At long last we got Sarah’s Lizardmen on the table. I was shooting for a “simple” 1400 point game. I realized a few turns in what a complicated game Warhammer is. It would be better to do more of a tutorial, more on that later. The Lizardmen army is about 2200 pts and looking good. It need some refining (ie, needs a saurus scar veteran on foot, and movement trays). We plan on using Chakax the Eternity Warden as the model for the army commander (you can always just use him as a regular hero. After that leisurely episode, we got to work. It was like an emergency room with artists coming and going, touching up this project or that, and getting things packed up (didn’t make it to the PO, though, will do first thing Monday and confirm). The big news is that we finished a Death Korps of Krieg army. Oh, and Renn is ready to roll with his Bone Knights, those are done now, so it’s just a matter of time before I get to test my mettle against them. Once home, I found a heavenly sponge cake baked up from scratch. My wife is the most amazing cook. We got dressed up and went out for the night, to eat some Thai food. We both love it. I can’t get enough. For the years before I met my wife, I heard (of course) the rumors about how difficult it is. I was really worried about all the drama and weeping that might ensue. However, I’ve found the opposite to be true once within the blessed bonds ; we have got along famously. Tamara seems to be more warm and delightsome than ever. There really is a folding and deepening of love as the years have wheeled on. Nevermind the children, which are the culmination of dedication and true love. Fifteen years married. We agreed last night that it seems more like eight years. Interesting factoid: Tamie and I were engaged three weeks after our first date. Don’t recommend it for everyone. A gift from the self esteem Fairy. I really, really liked what I saw in this video. Very nice. In terms of diplomacy, I opine humbly, that the Obama administration is taking a step in the right direction. I’m interested to see how it plays out. Anyway, here’s your Ron Paul fix. PS- I have ordered “Open Veins of Latin America” which is the book Hugo Chavez gave to Barack Obama. I am eager to see if there is something of value there. Here’s some food for thought about Economics.